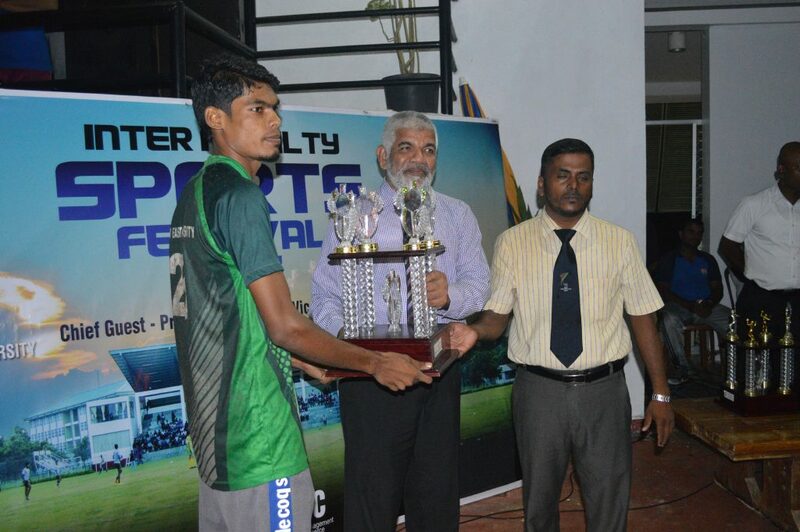 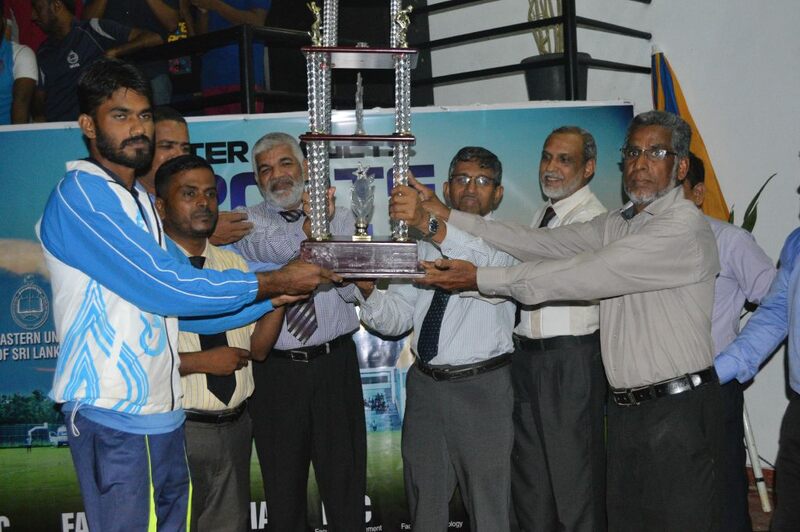 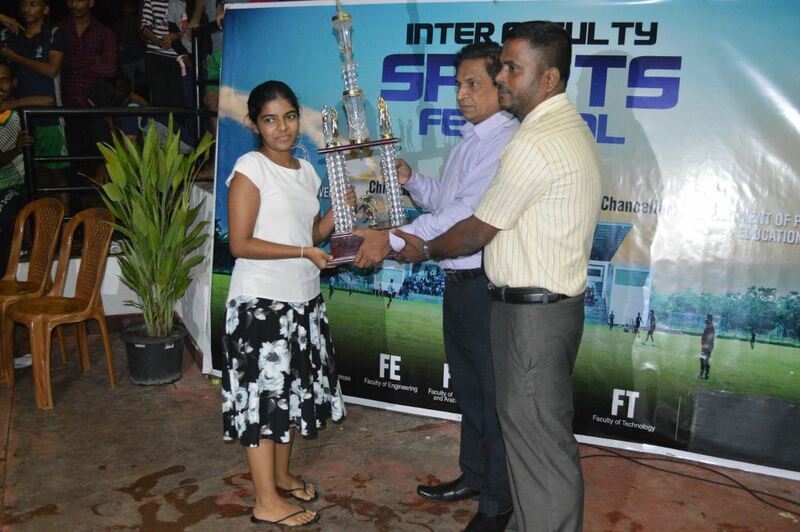 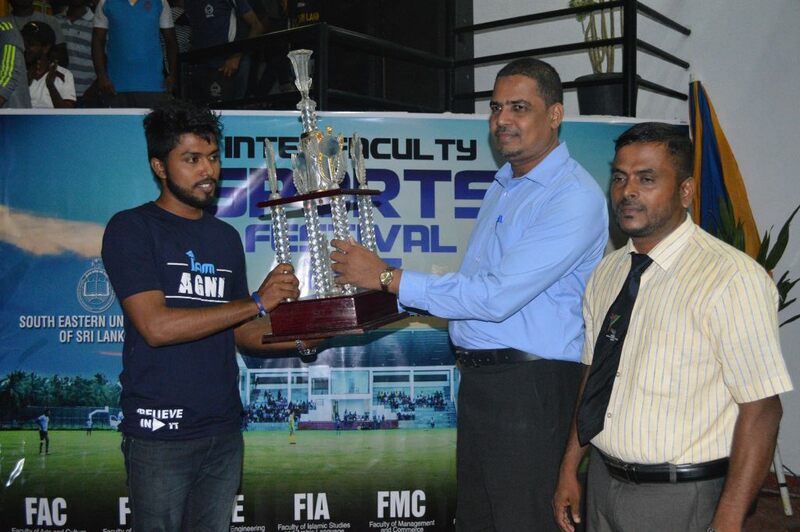 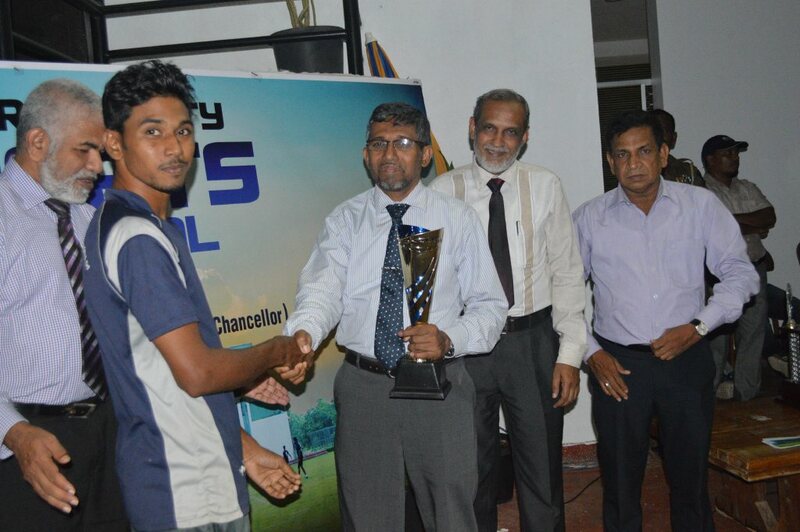 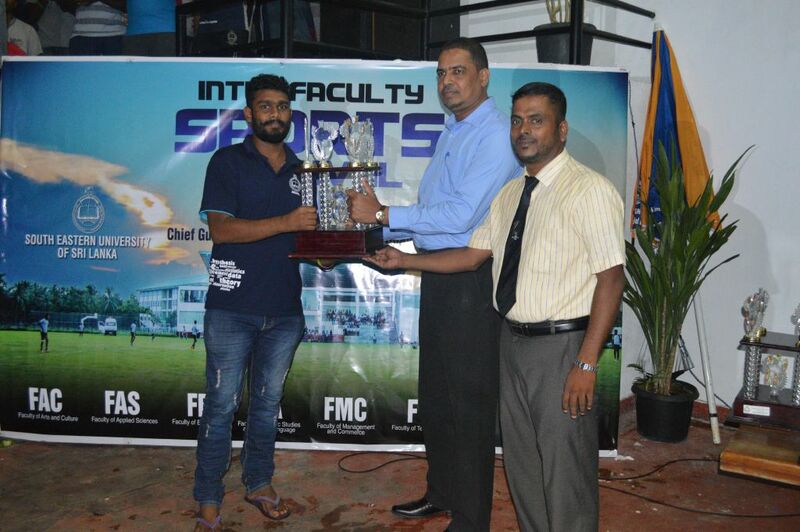 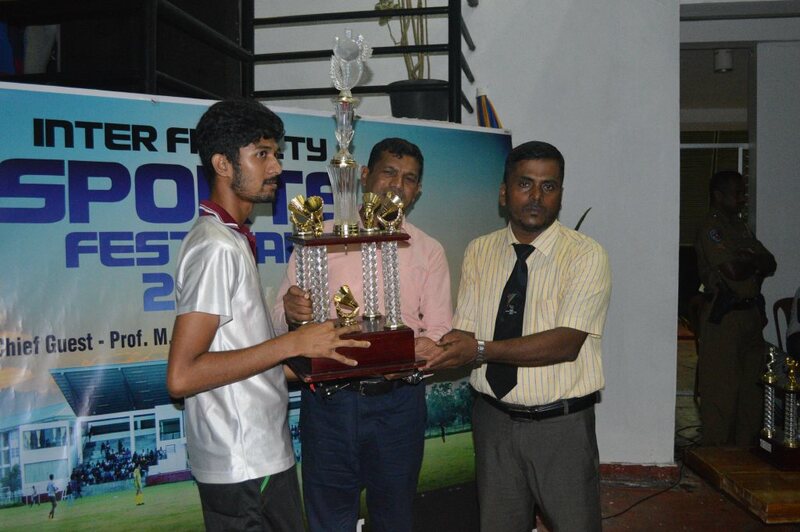 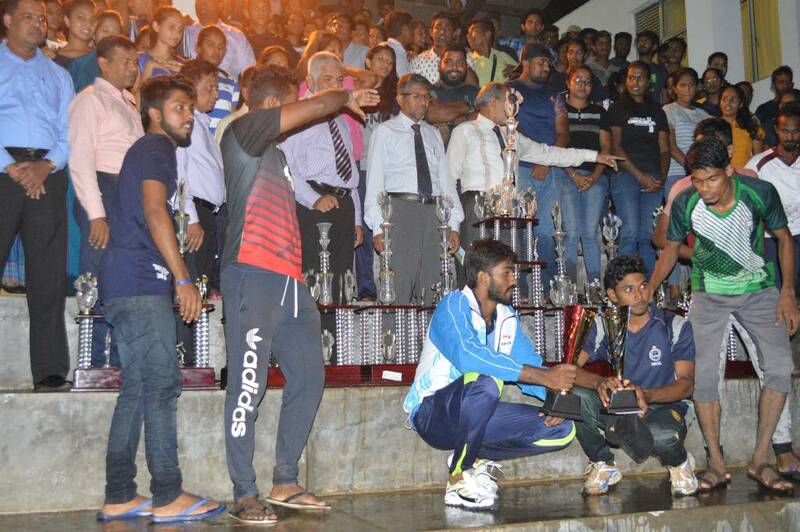 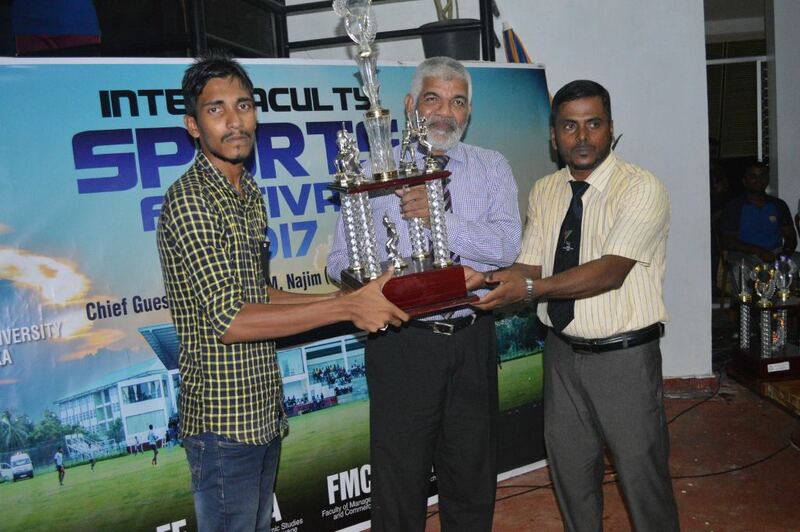 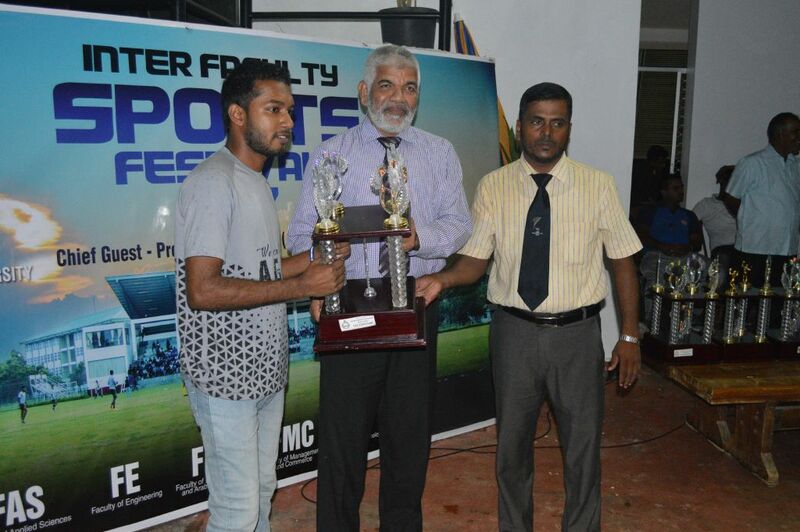 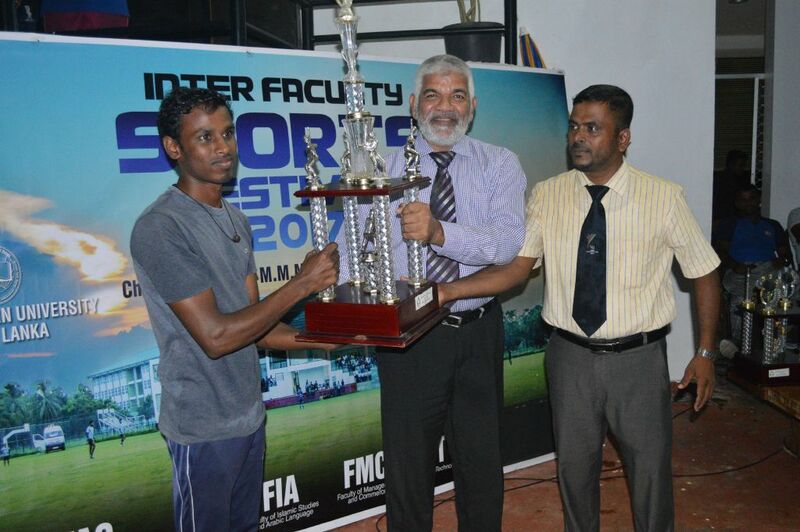 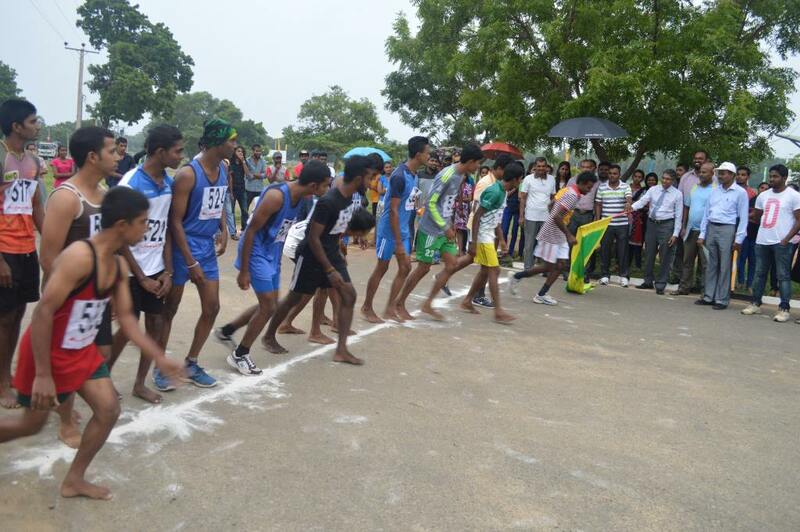 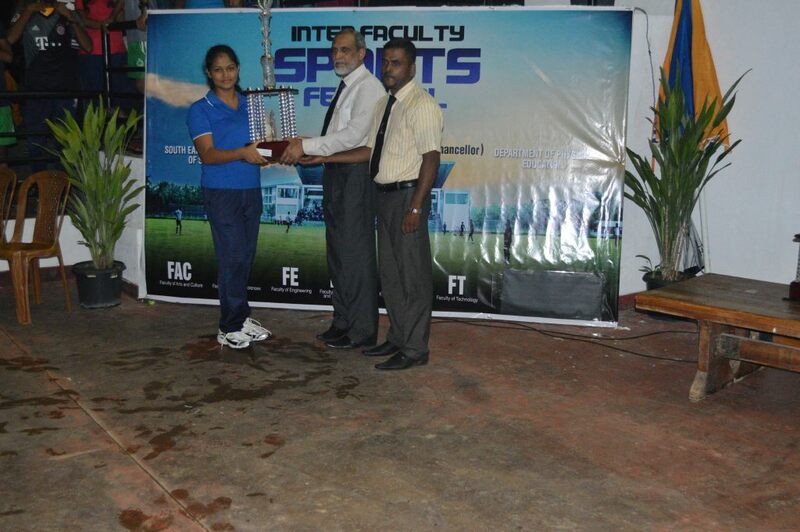 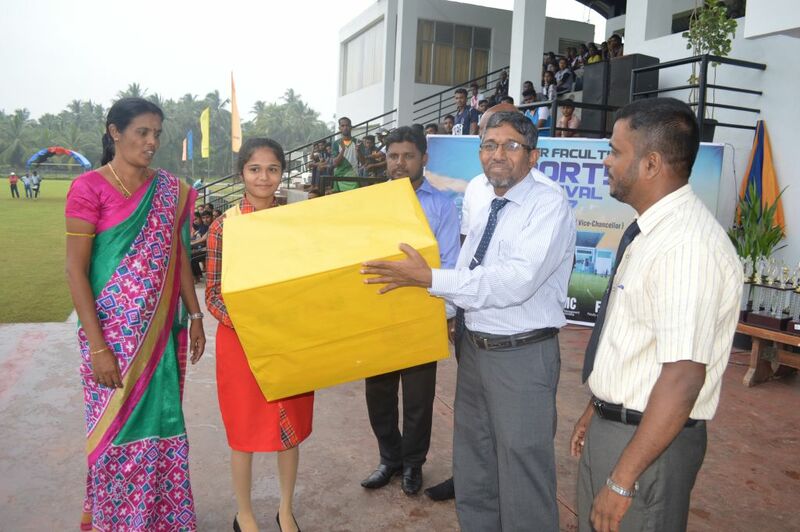 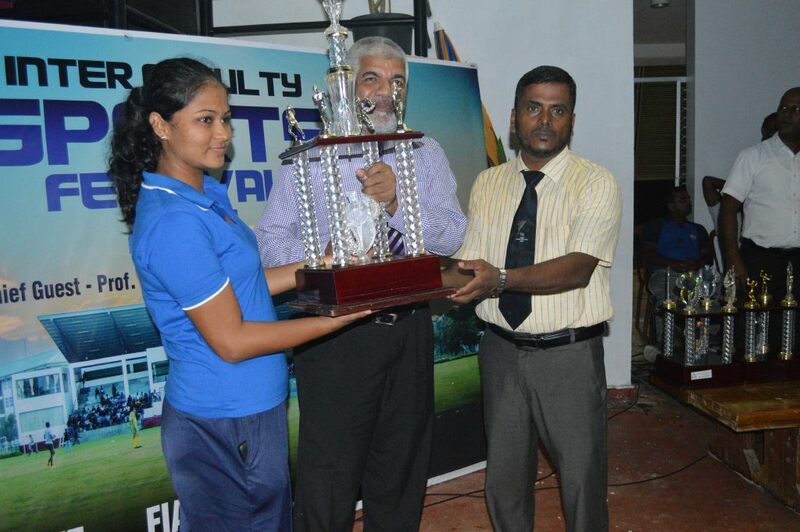 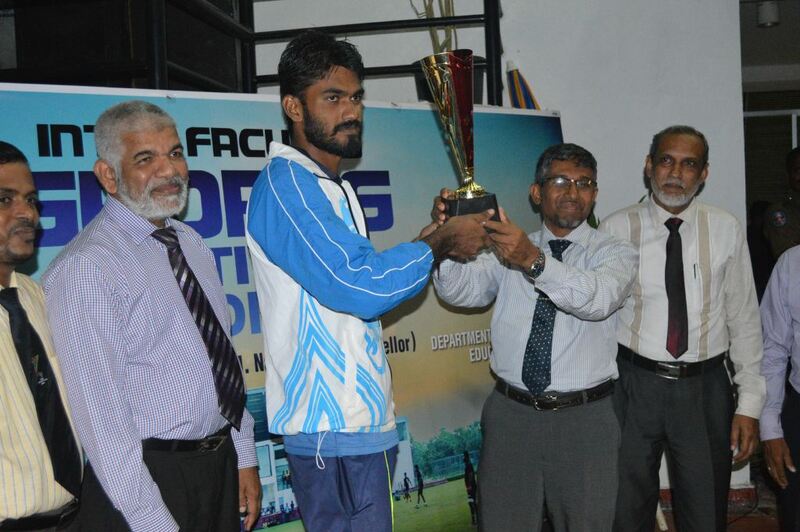 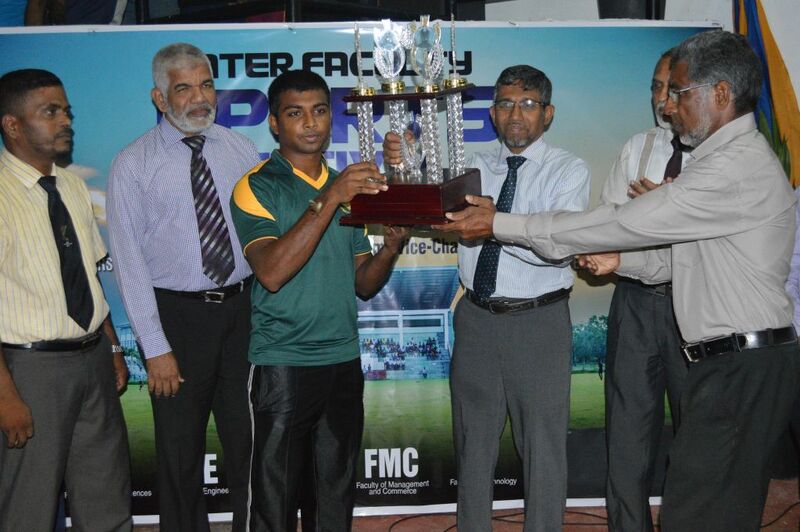 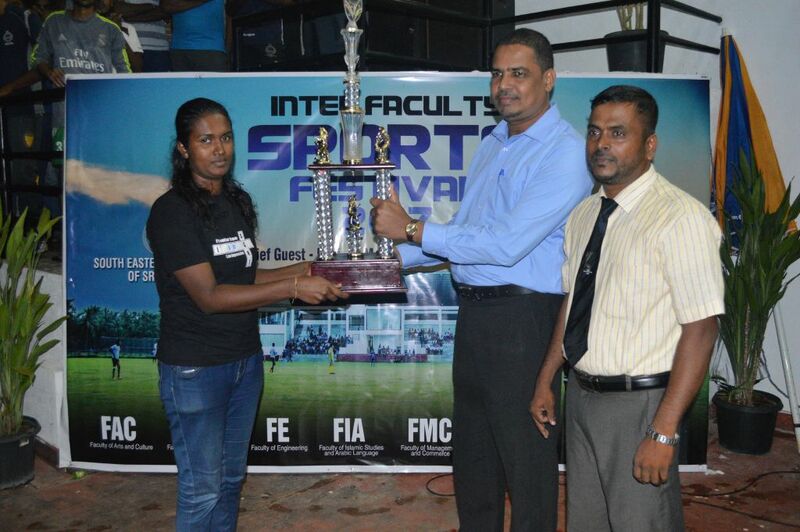 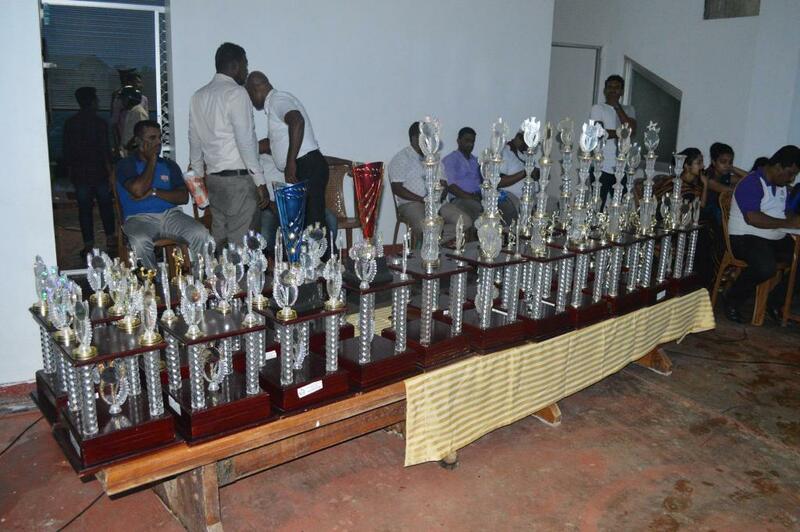 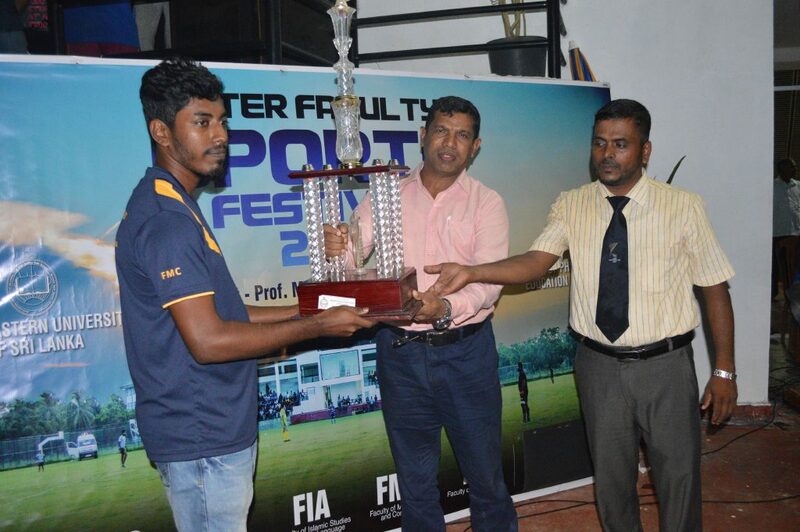 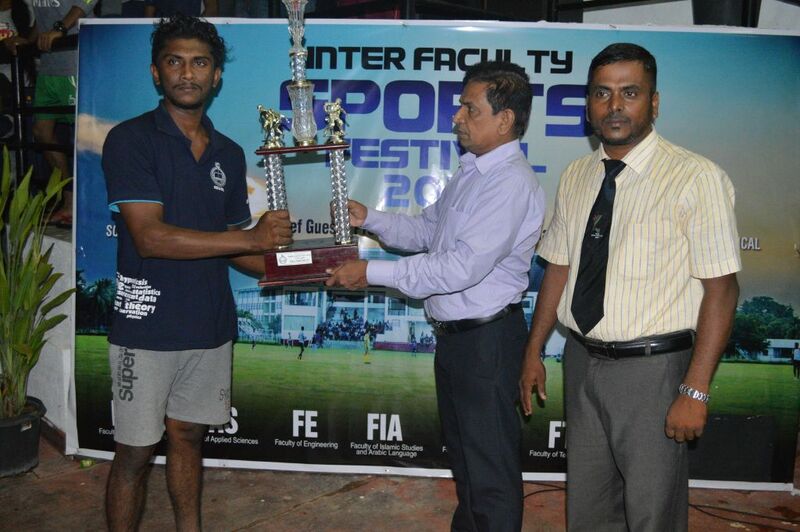 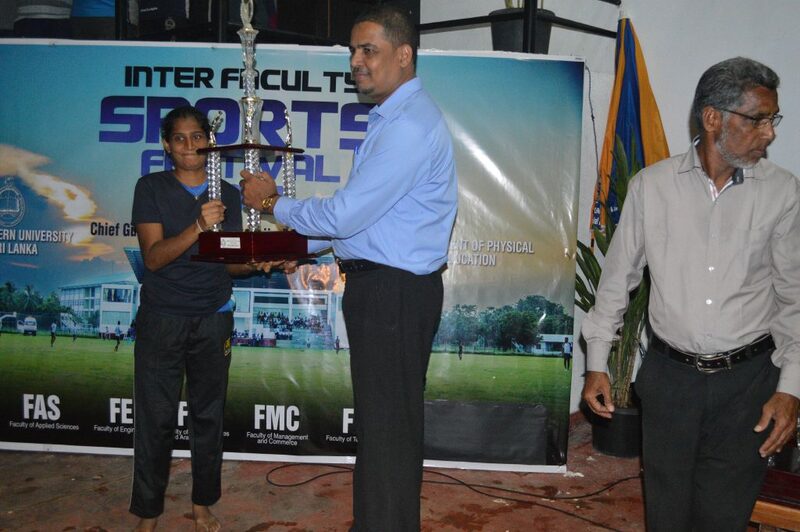 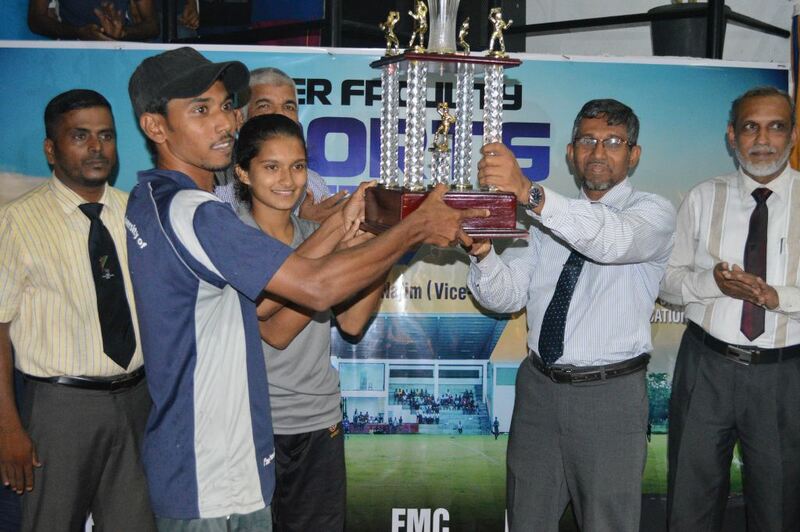 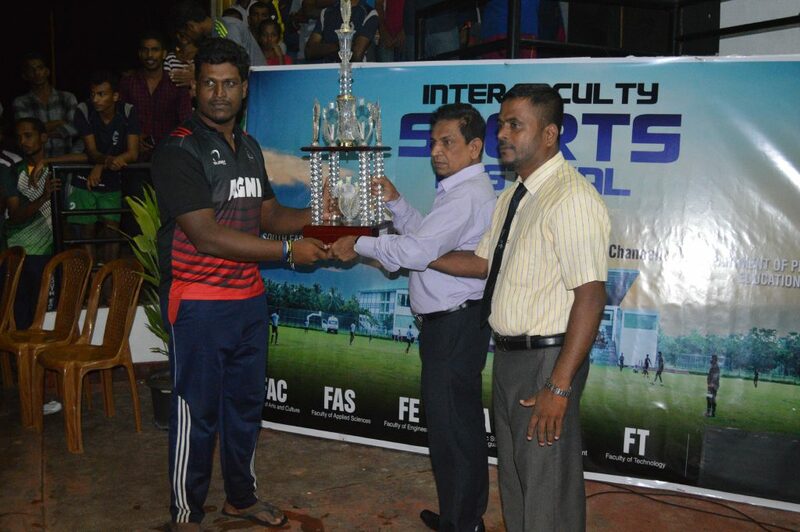 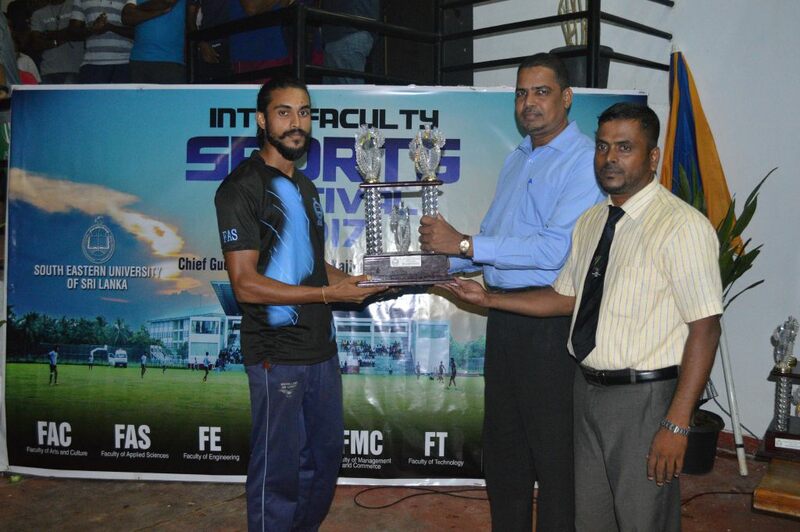 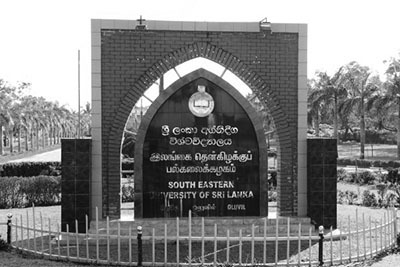 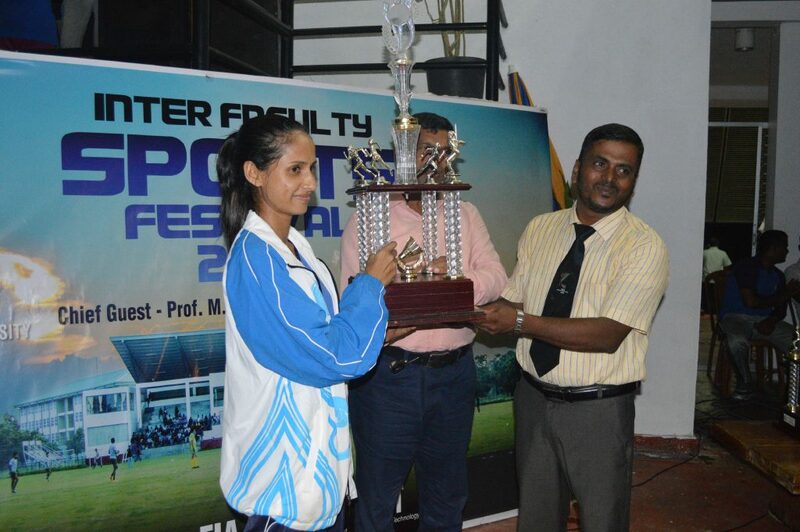 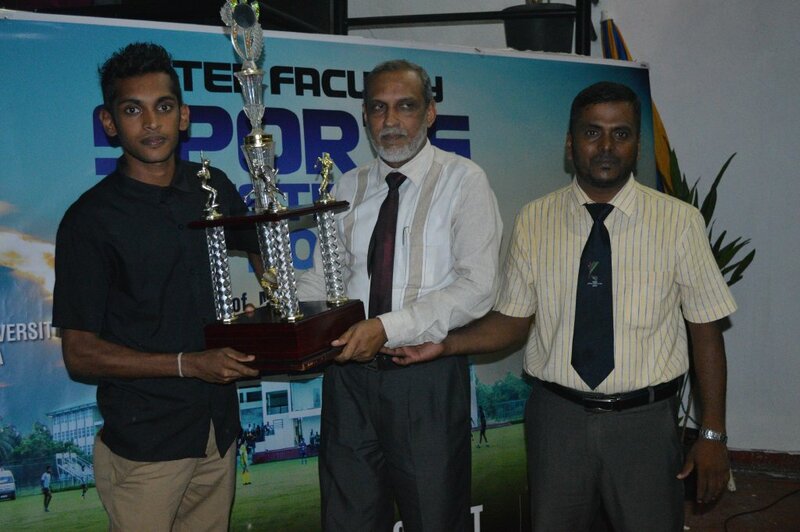 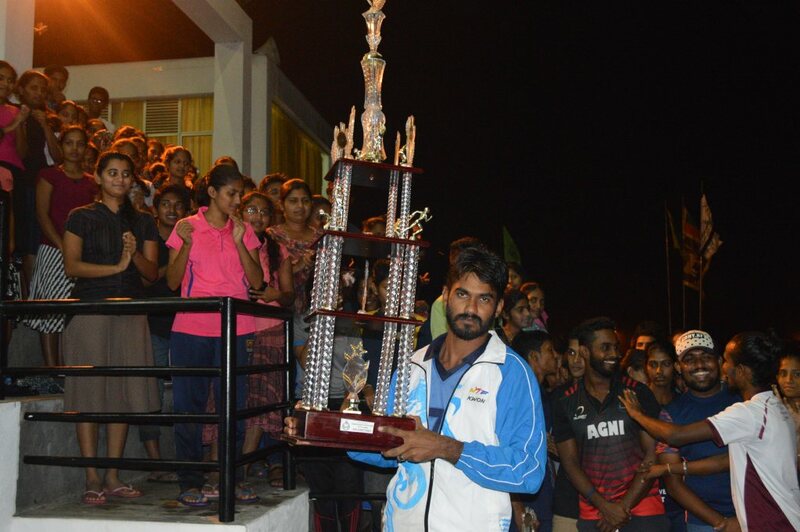 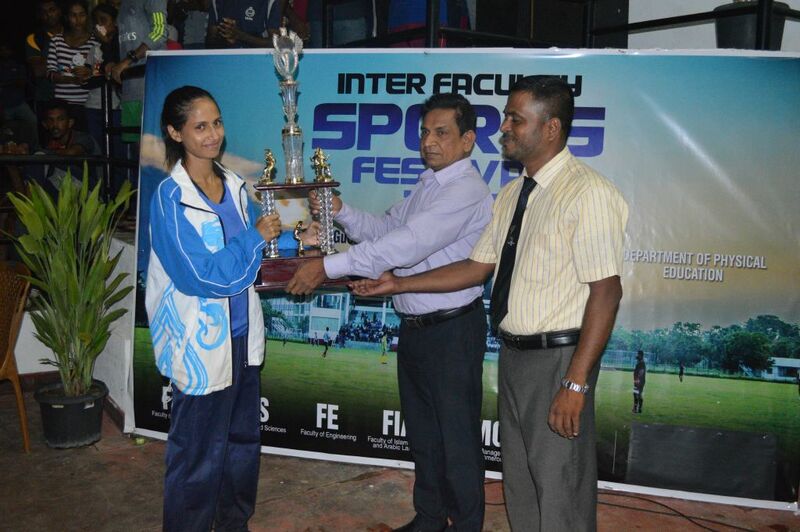 Faculty of Management and Commerce emerged champions and won the challenge trophy with 269 points at the Inter Faculty Sports Festival of the South Eastern University of Sri Lanka concluded on Saturday at the University Green. 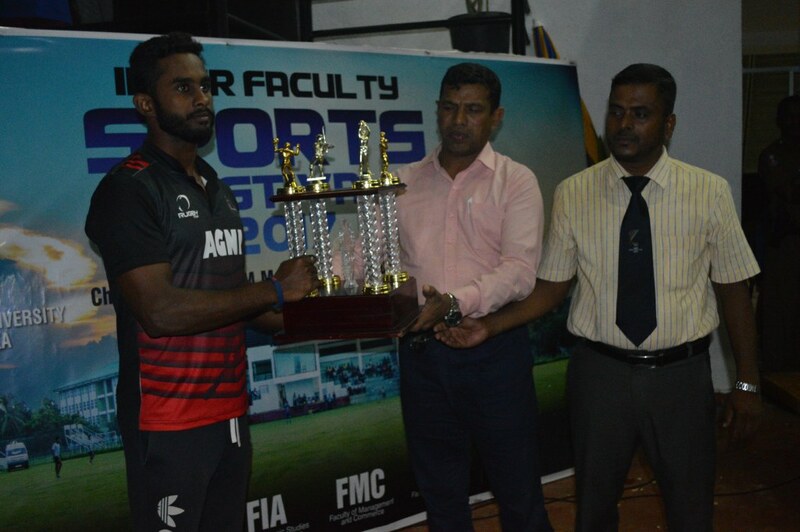 Faculty of Engineering became the Runners Up with 116.5 Points while Faculty of Technology secured the third place with 102 points. 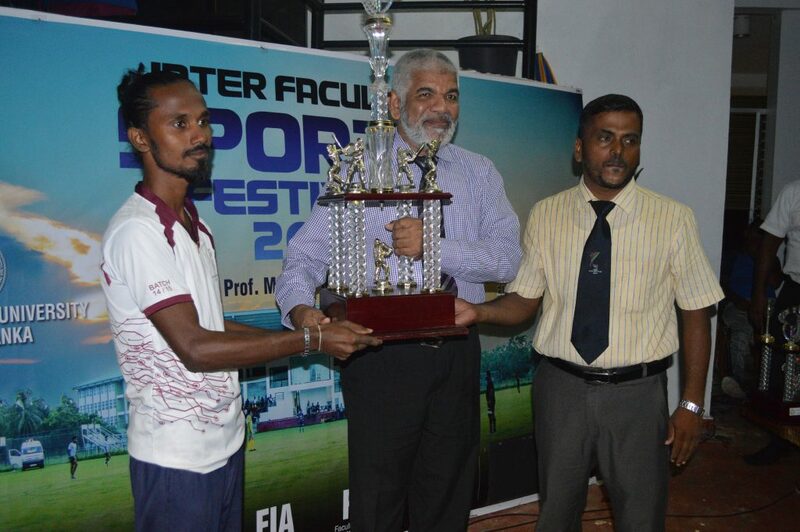 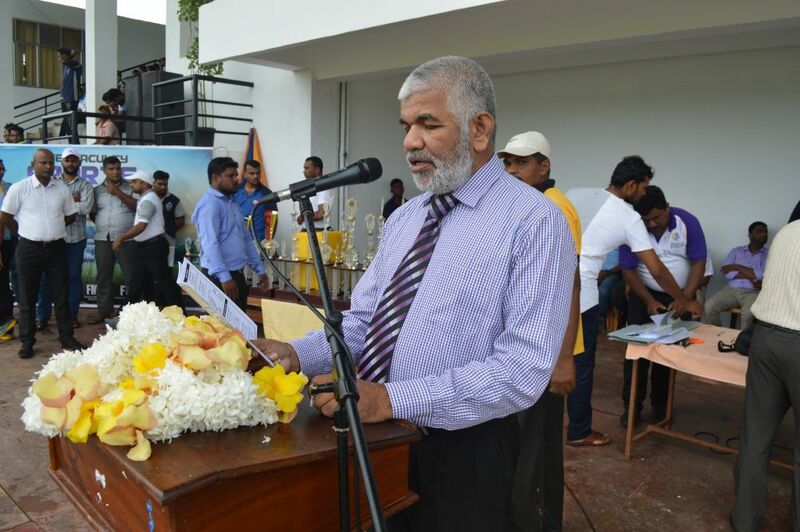 The meet was conducted by the Department of Physical Education under the chairmanship of the Chairman of Sports Advisory Board and the Dean of FIA Dr. SMM Mazahir where the Vice Chancellor Prof. MMM Najim participated as chief guest and gave away the awards to the winners. 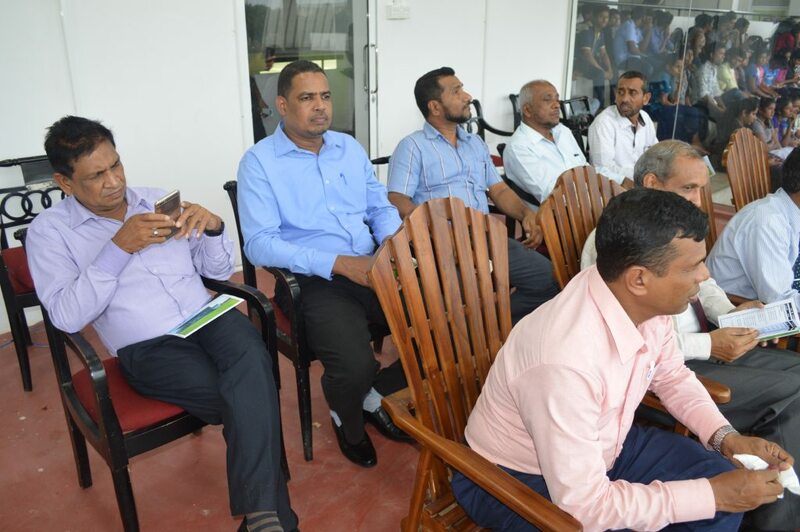 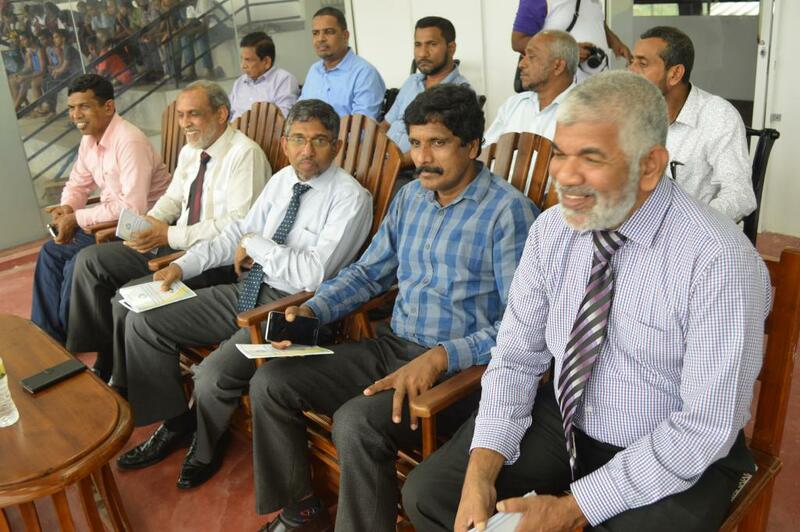 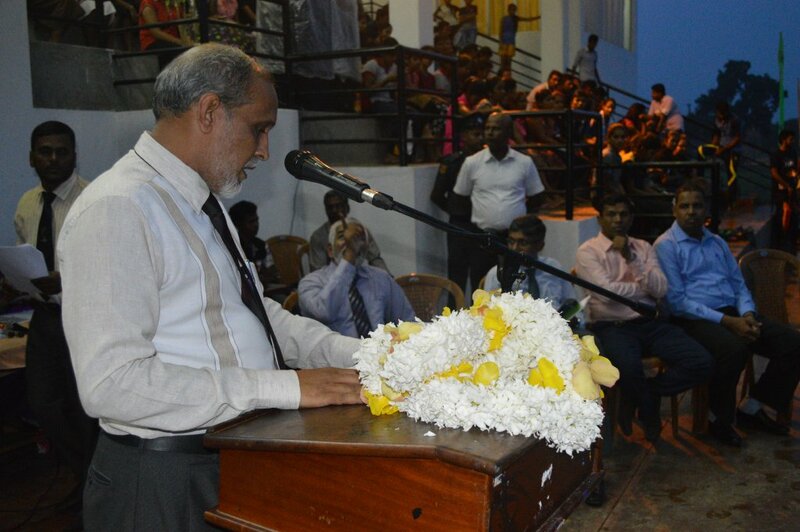 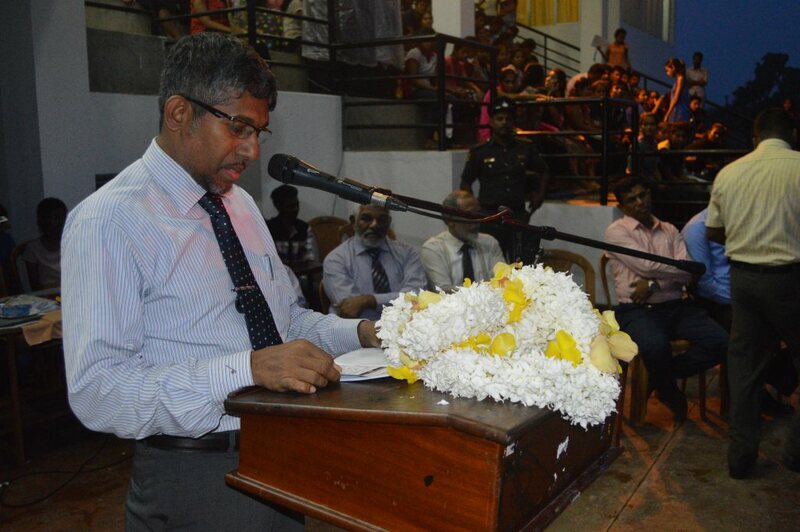 Dean FMC Dr.S.Gunapalan, Dean FAC A. Fouzul Ameer, Registrar HA Sathar, Deputy Registrars MI Nowfer and IL Thasleen graced the meet as guests of honours. 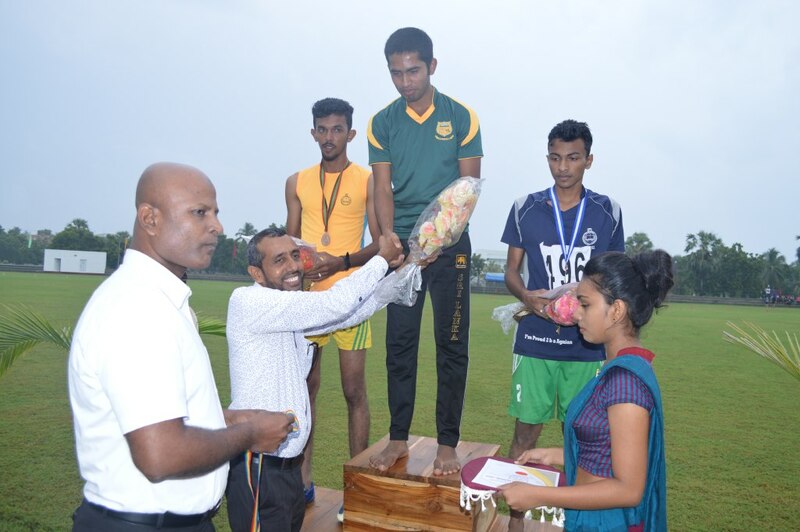 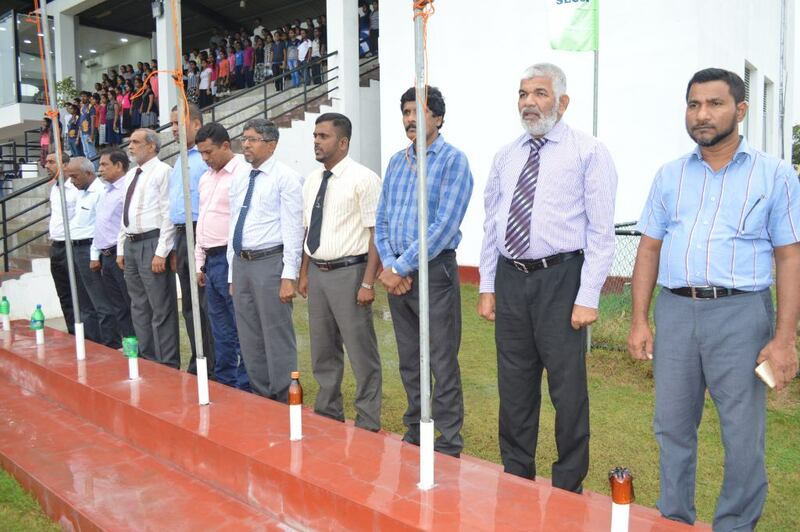 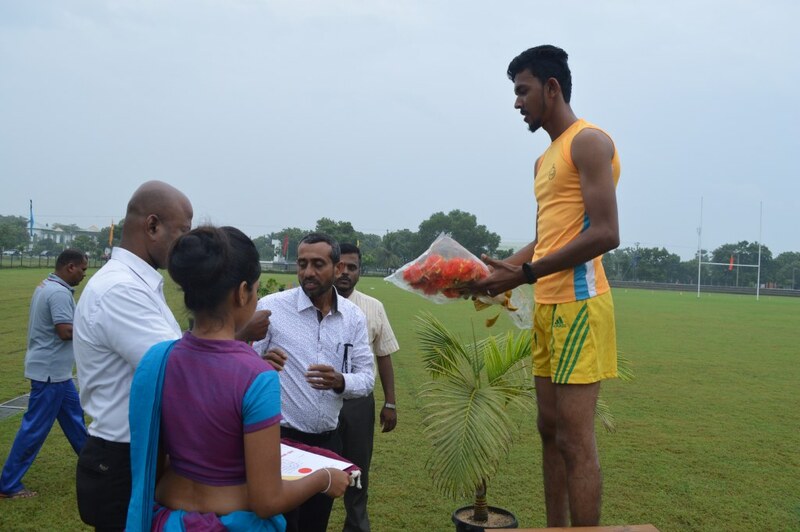 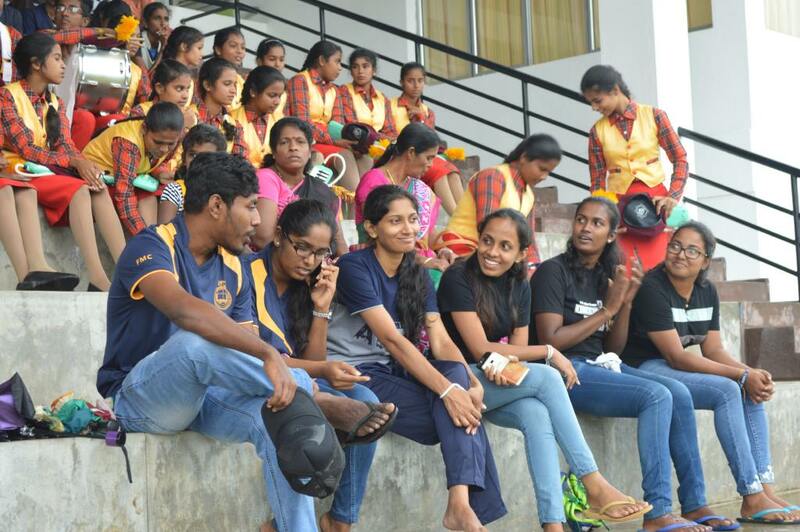 Director of Physical Education and Competition Director IM Kathafy and his team played a major role in conducting this meet very successfully amidst a very heavy shower.